Burak Arikan is a New York and Istanbul based artist who works with complex networks. He investigates societal issues and develops his findings into abstract machinery, which generates network maps and algorithmic interfaces, results in performances, and procreates predictions to render inherent power relationships visible and discussable. Arikan’s software, prints, installations, and performances have been featured in numerous exhibitions internationally. 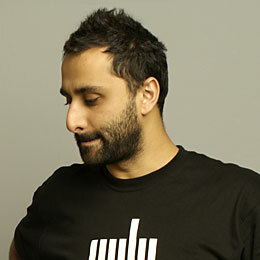 Arikan is the founder of Graph Commons, a collaborative platform for mapping, analyzing, and publishing data-networks. Arikan has presented his work internationally at institutions including Museum of Modern Art New York, Venice Architecture Biennale, São Paulo Biennial, Istanbul Biennial, Berlin Biennial, Sharjah Biennial, Marrakech Biennial, Ashkal Alwan, MAXXI Museum, Transmediale, Ars Electronica, Sonar, DEMF, Neuberger Museum of Art, KW Institute for Contemporary Art, Kunstmuseum Bochum, Asia Art Archive, LABoral, Henie-Onstad Kunstsenter, Künstlerhaus Bethanien, Tokyo Museum of Contemporary Art, Borusan Contemporary, DEPO, ARTER, and SALT. He has lectured and did workshops at institutions including Massachusetts Institute of Technology, Rhode Island School of Design, New York University, Columbia University, The New School, King’s College London, School for Advanced Studies in the Social Sciences (EHESS), Geneva University of Art and Design, Istanbul Technical University, Bogazici University, Koc University, Sabanci University, and Istanbul Bilgi University. Arikan completed his master’s degree at the MIT Media Laboratory in the Physical Language Workshop (PLW) led by John Maeda. Prior to MIT, he received an MA degree in Visual Communication Design from Istanbul Bilgi University in 2004, and a BS degree in Civil Engineering from Yildiz Technical University in 2001. For information about past exhibitions, lectures, and workshops please visit the Curriculum Vitae 2005–2018.